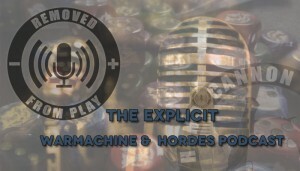 Hand Cannon Online has posted episode 75 of Removed From Play up online for your listening pleasure. The 75th episode of REMOVED FROM PLAY. Hosted by Charles (Omnus), and Emanuel (Bloodrath). We are joined by Sam Ross for this episode. It is always a pleasure to have one of the ITA hosts record with us. This episodes we talk about the impact some of the new releases and upcoming releases are having on our plans for 2014.